I made the MORIA map according to this map (http://0-media-cdn.foolz.us/ffuuka/board/tg/image/1377/46/1377464862086.jpg) and some PJs interpretations. The map is very complex and it is for future EDAIN 4.0 mod and that is why this map has it's restrictions, namely, you cannot build buildings freely wherever you see free spot because of the MORIA Object restrictions. So, even if this map will be more suitable for future EDAIN 4.0 with "BFME 1 fortress building system" (which was my main intention to follow) you can still play it in actual versions of BFME 2. I strongly recommend you to start the map from the East Gate (1st Hall). It is much more interesting to play from there (personal opinion). - I tried to clean this map a bit and to resolve some bugs I've found, also. - There are some beautifications with Erebor objects and because of that now you can build around your fortress much easier (affects all starting positions). - During the play you will get some interesting INFO when you reach some areas in Moria. - The old photo of the map is not obsolete completely, because it still gives you the basic structure of the map. 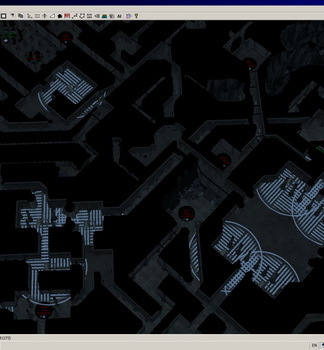 However, I made some light adjustments and redesigns in few Halls. - I lowered the minimum camera height from 800 to 600 feets. I've noticed that after the killing of all Creeps, the map functions slightly better (Keep in mind that there is a huge number of Creeps in this map). This update contains two versions of the Moria map, each for specific mod/expansion (ROTWK and Edain). I hope it resolves the problem that some are referring to (early defeat problem). So, use proper Map for proper expansion or mod! Some experiments during this process I've done with the member of Modding Union, "FG15", so I use this opportunity to thank him and to all members who indirectly helped with their critics and solutions. Hey i hope you still CHeck this profile, but i am a avid bfme2 player and i love maps like this, my only problem which i was gonna try to fix myself instead of bug you about it was the camera is set too high. i ended up not being able to because something weird is wrong with my rotwk worldbuilder which wont let me access anything but i would be terribly greatful if you could either personally send me a copy of this map through my email with the camera set to normal or just post an alternate version on here with normal camera angle. or just help me fix my problem so i can try to work it out myself. Anything would be great. its such an amazing map, i like playing as the goblins and ambushing my enemies from the various hallways and rooms. running from the ballrog is an extra perk. You are an artist sir, and this map is a masterpiece. moria is my favorite location in all middle earth theatrically and the visuals the book paints. i just like to be a little closer to the troops. other then that its the best moria map ive ever played. I lowered the minimum camera height from 800 to 600 feets, so now you can watch your units from closer distance. If you want to edit this map you'll need the ROTWK expansion and EDAIN mod. However, I believe it is enough if you have ROTWK only, but in same time you'll need a lot of RAM to be able to open this map in Worldbuilder, because sometimes I get some problems because of the ram capacity.